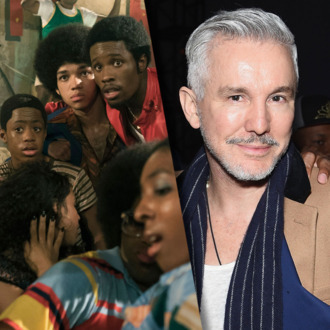 Baz Luhrmann’s The Get Down — which is set to premiere its first half of episodes on Netflix on August 12 — has been generating a lot of buzz for the streaming network since the debut of its promising trailer earlier this year. But behind the show’s sweet hip-hop soundtrack and elaborate choreography, it’s been far from all roses. As detailed in a new Variety article, The Get Down exceeded its original budget by about $7.5 million per episode and wound up costing at least $120 million overall, making it Netflix’s most-expensive series ever (and, as Variety points out, one of the most expensive shows in TV history), breezing past Marco Polo, which at $90 million, was previously Netflix’s most costly project. While the elaborate music and dance numbers, as well as licensing for classic 1970s music, impacted the large budget, the numbers really began to skyrocket due to the extremely slow pace of production. “I would never have believed two years ago that my days and nights, seven days a week, would have been absorbed in this gigantic collaboration,” he said. “I’ve never worked with so many people, and I’ve done a lot of things.” Luhrmann prefers to refer to himself as the “uncle” of the show as opposed to the patriarch, and is looking for a new showrunner to take the reins for season two. (Netflix has yet to officially renew the series; the second half of the debut season will premiere in 2017 due to the “complexity” of the production and post-production.) “The mechanism that preexisted to create TV shows didn’t really work for this show,” Luhrmann told Variety. “At every step of the way there was no precedent for what we were doing.” Just another day in Peak TV!